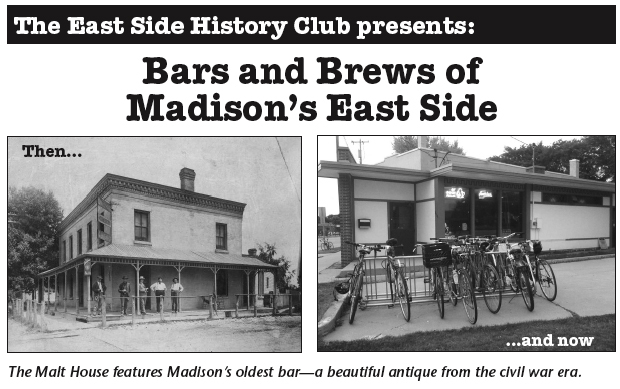 Dive into the sudsy past of breweries, bars, and barrel-making on Madison’s East Side. We’ll met from 2-4 pm at the Malt House, located at the corner of East Washington Ave. and Milwaukee St. There is parking next door. The Malt House is wheelchair-accessible. We’ll hear from members of families associated with past bars and brews including the Fauerbach Brewery, Trophy Tap, Ideal Bar, Ohio Tavern and others. We’ll also meet some of today’s East Side brewers and pub owners.